Prominent & Leading Manufacturer from Mumbai, we offer moly grease. M.R. Silicone Industries is one of the leading names in the field of manufacturing Moly Grease (Multi Purpose – M.M.G 100) used as pressure additives to impart additional load carrying capacity. 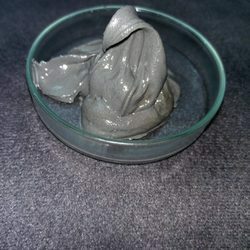 Only quality standard raw materials like molybdenum disulphide solid lubricants and heat resistant material are used in the fabrication of these greases. Produced in our state of the art production unit, this grease has many features like prevents premature bearing failure, Non-melting no caking crusting and very high thermal stability lubrication capability.